The Visa Waiver Program Improvement and Terrorist Travel Prevention Act of 2015 (the “Act”), signed into law on December 18, 2015, established new eligibility requirements for travel under the VWP, to include travel restrictions.These restrictions do not bar travel to the United States, but they do require a traveler covered by the restrictions in the law to obtain a U.S. visa, which generally includes an in-person interview with a U.S. consular officer. The Act also requires all VWP travelers to have an electronic passport for travel to the United States by April 1, 2016. And finally, the Act codifies many of the enhanced security measures announced by DHS in August 2015. Nationals of VWP countries who have traveled to or been present in Iran, Iraq, Libya, Somalia Sudan, Syria or Yemen on or after March 1, 2011 (with limited exceptions). International travelers who are seeking to travel to the United States under the Visa Waiver Program (VWP) are now subject to enhanced security requirements and will be required to pay an administrative fee. If you are coming under the VWP by air, you must apply in advance for an Electronic System Travel Authorization. You should apply at least 72 hours in advance of your travel, but emergency, last minute travel can usually be accommodated. If you are coming by land, you do not need to have ESTA authorization. The automated I-94 system keeps track of all the arrival and departure record information online. Visitors under VWP cannot extend, exchange, or adjust their status. The exception is for individuals who got married to the U.S. citizen; such individuals can adjust their status. Visitors traveling under VWP are not subject to expedited removal. 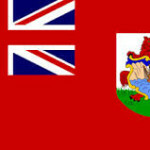 U.S. law allows the citizens of the British Overseas Territory of Bermuda to travel to the United States in most categories without requiring a visa similarly to Canadians. The standard length of stay for Bermudians is up to 180 days, however the length of stay is granted at the discretion of the Department of Homeland Security/Customs and Border Protection officers at the port of entry. 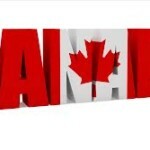 Exceptions to visa free entry include those who have a criminal convictions or are otherwise ineligible to get admitted to the U.S.
Landed immigrants of Canada and permanent residents of Bermuda are not visa exempt. Mexican citizens have to be in possession of a Border Crossing Card in order to enter the U.S.